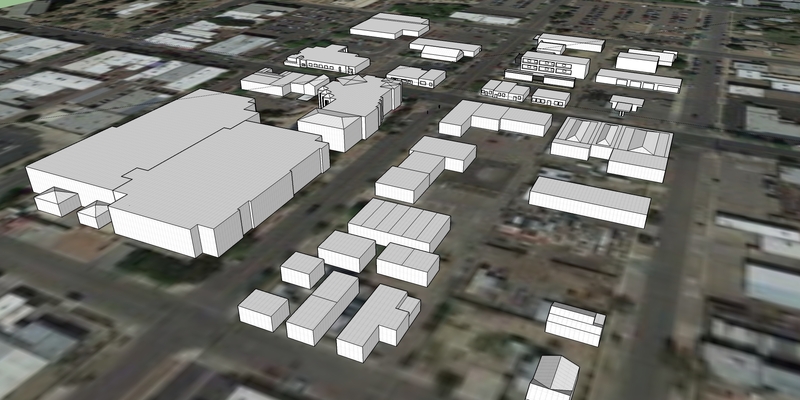 Glendale Historic Downtown Redesign was an urban redevelopment and design project for the city of Glendale, Arizona. 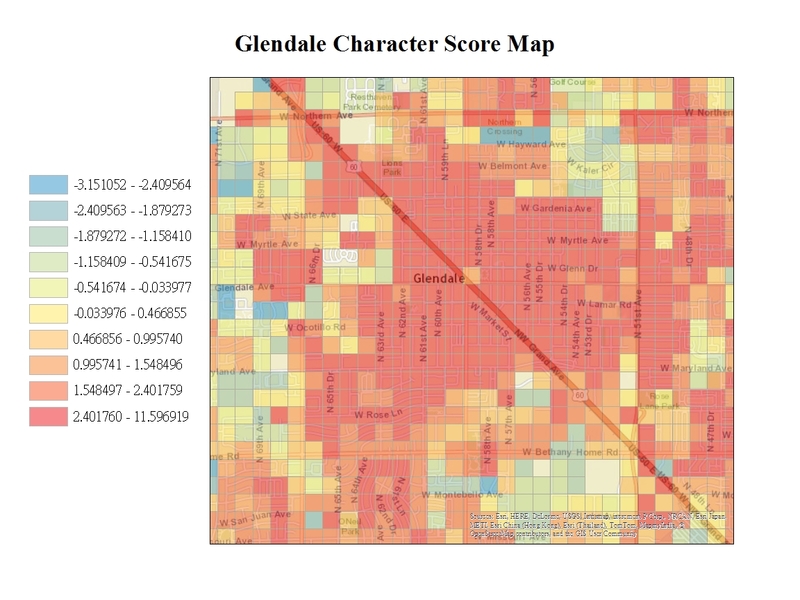 With an aging population and a struggling economy, Glendale has been trying to revitalize its downtown core for years (culminating in the hosting of Superbowl XLIX). This project was an attempt to address these issues by developing a plan, through development and policy, that will benefit parts of the historic downtown. 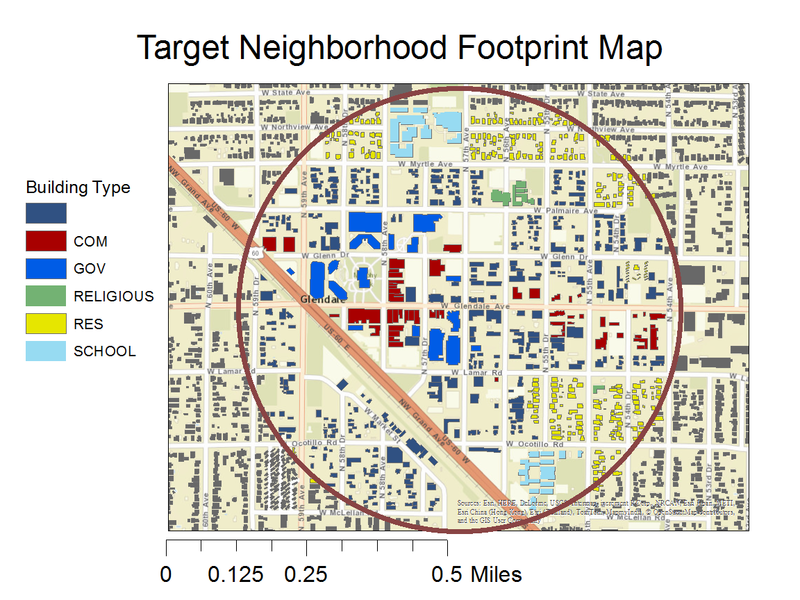 Under the guidance of Professor Emily Talen and Dr. Michael Powe, we followed the Preservation Green Lab‘s methodology in examining neighborhood physical characteristics through a combined measure of building age, building diversity, and lot size. Using grid overlay analysis, we incorporated demographic data from the U.S. Census Bureau and identified and presented a neighborhood that had the greatest potential for revitalization through existing policy and design. In addition, we conducted field observations of the study area. Some of the issues we found was the lack of consistent frontage which reduced the physical attractiveness of the area. There was a lack of mix-used buildings, with would serve to bring residents and businesses together. In addition, despite the city’s comprehensive Centerline Overlay initiative in 2011, the area is still under-utilized by shoppers, residents, and tourists. As project lead, my responsibilities included planning objectives and coordinating between team members to ensure open and effective communications. In delivering results, I focused on geo-spatial analysis through the integration of spatial and demographic data in ArcGIS 10.2. Our plan had comprehensive data from zoning changes, building redevelopment and reuse, and policy recommendations. We did not recommend a wholesale demolition and redevelopment of the area as we believed the historical character provide unmatched value that can be harnessed more effectively.